The Meyerwitz Stories (Both Old and New) opened both on the Netflix streaming platform and in the theaters at the same time. The goal, as I surmise it, it to have a qualifying run for the Oscar race (and screeners have been sent) while giving it as little theatrical distribution as possible. Sort of like having your cake and eating it to. It’s hard to say, but I’m not sure they have that strong a chance. Many voters might feel like this is cheating (and Cannes refused to show any Netflix product). But The Meyerwitz Stories…, written and directed by the intelligent and erudite Noah Baumbach, is quite good, even quite marvelous and definitely deserves an audience. The basic premise revolves around an aging artist, played by Dustin Hoffman, who didn’t not make it, but didn’t make it either. He fell just a bit short of artistic preeminence. Because of this, he spends much of his time relating his opinions on other artists, well thought out and considered, but clearly the result of a deep, deep bitterness. It’s been a long time since Hoffman has had a role this good and he is in top form, raging against the dying of the light, unresigned to the knowledge that he will never be more than he is. He digs deep into the character and blazes his way through the story. He has two sons from two different marriages, Danny played by Ben Stiller and Miller by Adam Sandler. They’re relationship to their father is somewhat difficult. Danny loves his father and does everything to please him, but nothing works. Miller has distanced himself from his father having pursued a successful career in finance, eschewing the arts, to his father’s disappointment. In turn, the aging artist does little but put up barriers to Danny’s love and showers praise on Miller, but never on his choice of career. The odd thing, though, is that Danny and Miller, who have had little contact over the years, discover something quite revelatory: whenever their father is not around to push buttons, they actually like each other very much and treat each other like, well, brothers. Hoffman isn’t the only one who gives a striking performance. Sandler shows, as he did in Punch Drunk Love, and to a lesser degree, The Wedding Singer, just how good an actor he could have become if he had perhaps made stronger choices over the years, or even had better luck when he didn’t. Stiller holds his own with each of them. All the scenes between these characters are like a series of violent and deeply emotional pax de duexs. Emma Thompson, as Hoffman’s slattern of a wife, is almost unrecognizable and hasn’t been this effective for some time. 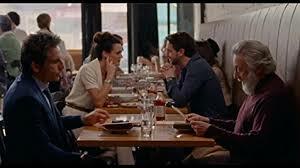 The screenplay, punchy, insightful and full of energy may be Baumbach’s best. When I saw the PBS documentary Salinger, about the celebrated J.D. Salinger, author of the ubiquitous novel Catcher in the Rye, one scene stood out for me. Salinger had an appointment with a publisher for his novel. When the publisher asked if the hero Holden Caulfield was supposed to be mentally unstable, Salinger was so fraught and upset, so wounded, he fled the publisher’s office without another word. The reason this stuck with me is that when I read Catcher in the Rye in high school, I loved the prose and never found the book boring, but I found myself asking the same question. Of course, history seems to have proven me wrong long before I even read the book. But still, there it is. 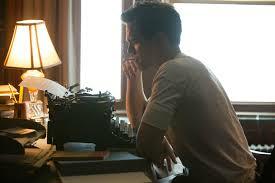 Rebel in the Rye, the new film about Salinger, is a low key biopic and is all the better for being low key. It doesn’t try to be any more than it is and, because of that, it rises above many other biopics that go for the jugular in both Hollywoodish and epic ways. Nicholas Hault plays Salinger and plays him in a more than quite satisfactory manner, portraying a damaged soul adrift in a damaged world (Salinger, while waiting for D-Day, discovered via the gossip columns that his fiancé Oona O’Neill left him for Charlie Chaplin; he then stormed the beaches at Normandy; survived the Battle of the Bulge; and then helped liberate the concentration camps). 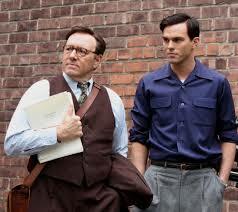 Kevin Spacey plays Whit Burnett, a college professor who first discovered Salinger’s talent. Unlike many of his recent roles, he is not remotely annoying here and shows a lot of heart and soul. 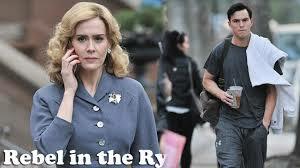 But the movie is probably stolen by Sarah Paulson as Salinger’s agent, played like a mother wolf protecting her cubs. She gives a strong and forthright performance. 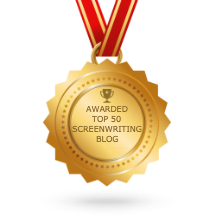 The intelligent screenplay is by Danny Strong, who also directs it quite satisfactorily. With Victor Garber and Hope Davis, always welcome additions to any film, as J.D.’s parents. In the new documentary, Joan Didion: the Center Will Not Hold, Netflix tries again to do with the film the same thing they are trying to do with The Meyorwitz Stories…: open it in a theater at the same time as opening it on the streaming channel in order to get an Academy Award nomination. However, since documentary nominations are chosen differently than narrative films, they might actually have a stronger chance (though I haven’t seen it particularly high on prediction lists). 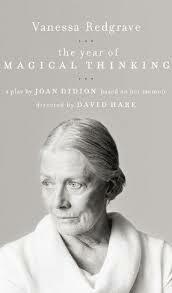 However, the film, made by Didion’s nephew Griffin Dunne (who knew? ), is engrossing and respectful as it traces both tragedy (the death of her husband and daughter) and triumph (her writings, especially, books on the Summer of Love and The Manson murders and her most celebrated work of non-fiction, Play It As It Lays). 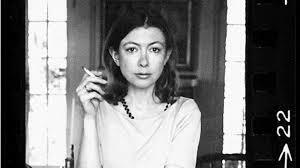 The film is punctuated by interviews with Didion, frail, but still full of energy, her arms flailing about in defiance of old age, still clear sighted about herself and her life. Perhaps the most moving moment in the movie is one where Vanessa Redgrave shares a photo album with Didion. 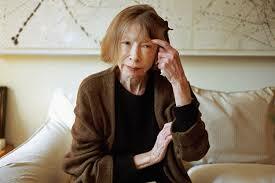 Didion wrote a play, The Year of Magical Thinking, inspired by the death of her husband. Redgrave starred in it not long after losing her own daughter, sister and brother in one year.